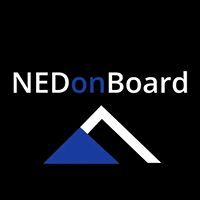 NEDonBoard is the Professional Body for non-executive directors – should you have any valuable knowledge to share with your fellow NEDs you can highlight this to Liv Noble (bGl2ICEgbm9ibGUgfCBuZWRvbmJvYXJkICEgY29t) in advance of the event. dGVhbSB8IG5lZG9uYm9hcmQgISBjb20= is the easiest way as we love to keep a record. Liv Noble is our event manager, TGl2ICEgbm9ibGUgfCBuZWRvbmJvYXJkICEgY29t.